The Smelter Site Project Area located near State Street and 5300 South in Murray was created to improve blighted properties, including the demolition of smelter stacks, to construct infrastructure and attract major development. 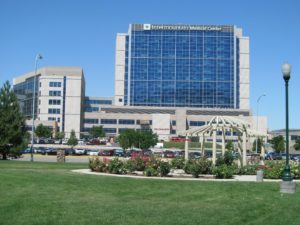 Since creation of the area, Intermountain Healthcare developed their flagship facility—Intermountain Medical Center, which is located on a 118 acre campus with five unique centers of excellence providing exceptional healthcare and employing over 4,400 individuals. The area has also had growth in retail development including Costco and other restaurant facilities. 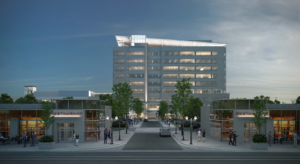 The area continues to grow and in 2018 Intermountain Healthcare will be opening the Kem Gardner Transformation Center which is a 121,000 square foot medical leadership training facility along with a 217,753 square foot parking structure. The Fireclay Redevelopment Area bounded by State Street on the east, 4500 South on the South the heavy rail line on the west and Big Cottonwood Creek on the north was originally created as a transit oriented area to facilitate mixed use development in this area. The project has included utility enhancements, transportation infrastructure, urban design and pedestrian amenities, environmental remediation and site preparation near the north TRAX stop in Murray. Since creation of the area, over 1,000 residential condominiums, apartments and live work units have been developed along with a critical care health facility and office space in the area. University Place is the redevelopment of an existing indoor mall into a mixed-use development with over 112 acres. The $500 million redevelopment project includes 600,000 square feet of Class “A” office, up to 1,100 housing units, 1.3 million square feet of retail, a two-acre civic plaza and park, a swim and tennis club, and a hotel. 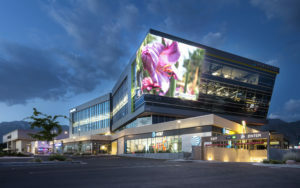 Phase one was recently completed and included the UPstar office building on University Parkway, The Orchard Park, an indoor-outdoor children’s play area, the addition of RC Willey and Al’s Sporting Goods, several restaurants including Tucanos, an underground parking garage, and over 400 residential units. Phase two is under construction with Trader Joes and a five-story above ground parking garage lined with retail on the ground-level floor and residential units on the upper floors. 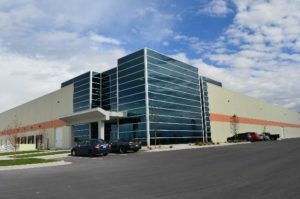 As the gateway to Hill Air Force Base, Layton’s East Gate Economic Development Area is the perfect location for KIHOMAC’s new 130,000 sq ft facility. KIHOMAC provides engineering, reverse engineering, prototyping, manufacturing and composite manufacturing to multiple aerospace companies and government entities. 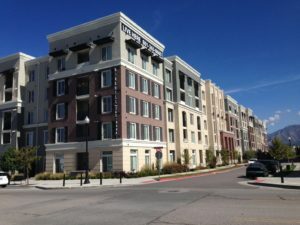 The Layton Downtown RDA, anchored by the Layton FrontRunner Station and the new Intermountain Layton Hospital, is a transit oriented development area, which includes the Kays Crossing apartments. With two levels of under structure parking with 58 units per acre, Kays Crossing sets the tone for Historic Downtown Layton redevelopment. Rising powerfully above West Valley City, Fairbourne Station seeks to provide an iconic profile for Utah’s second-largest and most diverse community. 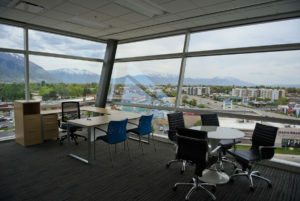 Situated on an 8.5-acre development, Fairbourne Station offers an ultra-modern setting that is intriguing, unique, and environmentally-conscious and forward-thinking for those who look to expand horizons just minutes from downtown Salt Lake and the highly-convenient SLC International Airport. Topped by an artistically-inspired solar array, Fairbourne Station soars into the air as the area’s second-tallest structure outside of downtown Salt Lake, providing 360-degree views of every mountain range in Utah. 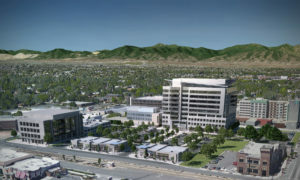 With the core of Utah’s workforce immediately accessible to both I-215 and 3500 South, the dynamic vision for West Valley City includes the current 162 room Embassy Suites Hotel, the planned 235,000 rentable square foot, 9-storey contemporary Class-A office tower, 7-level parking structure and state-of-the-art public safety building. Future phases also include retail and restaurant pads, an 80,000 square foot office building and another hotel and conference center. The Southwest EDA was created in 2007 and collected its first increment in 2010. The primary focus of this project area was to incentivize the expansion of Hexcel Corp, and to plan for the future of the two gravel pits in the project area. 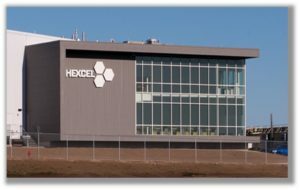 Hexcel Corporation is the largest domestic producer of aerospace grade carbon fiber, and the second largest in the world. They employ nearly 700 people, and are the major influence in the entire composite industry state wide. Without Hexcel, the Governor’s Office of Economic Development would likely not have their Composite Cluster. This project has been quite successful thus far and hopes to continue that success with the continued expansion of Hexcel and the future development of the adjacent gravel pits. EDA has had multiple projects in the last few years focusing primarily on Industrial and commercial. Freeport West, the state’s largest industrial developer has already completed 1 million square feet of distribution and manufacturing space and looks to add on another 4 million square feet. 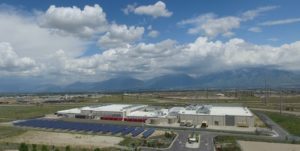 The Freeport West industrial park named “ARA” has exceeded early expectations as the demand for this type of facility is at an all-time high. In addition to ARA, Mountain States Volvo completed construction on a new Volvo dealership just off highway 201. This new facility will sell and service Volvo and Mack brand semi-trucks. We are extremely excited about the progress of this and anticipate continued growth in the future years. The NW EDA currently has an active development agreement with Freeport West and with Mountain States. 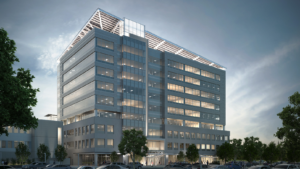 The 50-acre Data Center EDA was established to assist in the development of a 240,000 sq. ft. data center operated by the Oracle Corp. The Oracle facility represents a significant capital investment in the regional and state economy, and is an important piece of the city’s information technology and business center. 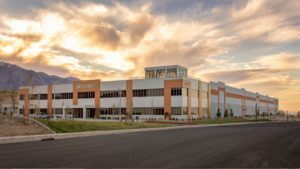 Located in southwestern West Jordan, the Bingham Business Park EDA was created to facilitate the development of an 800,000 sq. ft. facility located on 75 acres for a new Kraftmaid Cabinetry manufacturing plant. The EDA was utilized to assist with site improvement costs, including road and utility infrastructure improvements. After the closure of the plant by Kraftmaid, the building was acquired by Boeing for use in the production of the Dreamliner aircraft.